Good relationships take time to develop. This is true whether this is a relationship between two humans or between a human and a horse. Of course, there may be an attraction and a willingness to please even when the two are first introduced, but this is not the same as a good relationship. A good relationship can grow from this first introduction, or things may deteriorate. Spending time together helps both human and horse learn to know each other better. This does not mean time simply spent bossing the horse around or thinking the horse wants to do something just because the human wants to do it. The human must learn to "listen" to the horse. Of course, we must realize that always trying to please another person or allow a horse to do what it wants does not create a good relationship either. Sometimes, we must ask a horse to do something for its own good. A good example of this is withholding certain rich foods that the horse seems to love but which can adversely affect the horse's health if consumed in too great of quantity. Another example is exercise. Some horses, like some people, would rather just stand around. But exercise is good for the health of both if not overdone. 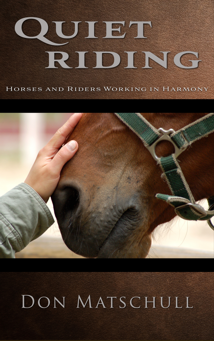 We can also look at the relationship between a human and horse from a different perspective. Some people talk of making the horse a partner rather than a slave. But one should remember that this is not an equal partnership. There must be a leader, and that leader should be the human. But he or she should be an honest and understanding leader. I often ask people to envision two work scenarios. In the one, the boss simply tells the worker what to do. He may not know enough to express his desires clearly, but he jumps all over the employee if the employee doesn't perform exactly as the boss envisioned. This boss may also ask the employee something beyond his ability and get mad when the employee doesn't perform the task. This boss may also ask the employee to do something but, then, unwittingly put obstacles in the employee's way that make it harder for the employee to perform the required task. In the other scenario, the boss again tells the worker to perform a task, but he carefully observes the employee's reaction. If it appears the employee doesn't really understand what is being asked, the boss will try to find a different way of explaining things that is more understandable to the employee. If the employee does not have the ability to perform a required task, the boss provides the opportunity for the employee to develop the requisite knowledge and skills before expecting the employee to perform the task. This boss, also, is quick to praise and reward any positive effort to do what the boss asks. I ask people which boss they would prefer to work for. I ask them for which boss would they strive to put forth extra effort. I then ask them which type of boss they think their horse would prefer. It is hard for learning to take place in an chaotic atmosphere. There must be a sense of order. When working with horses, there must be discipline. While discipline may sometimes require punishment, punishment is not the equivalent of discipline. Think of self–discipline. Self–discipline is not the same as beating oneself. It is more a matter of self-control learned through knowledge, exercise, and experience. Humans and horses are best able to perceive sensory impute when relaxed both mentally and physically. Again, "relaxed" in this context refers to a lack of undue stress rather than to a state of drowsiness, inattention, or laziness. 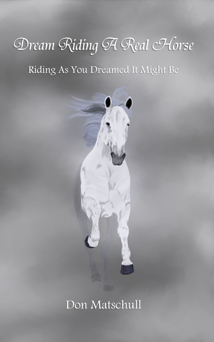 When a rider is relaxed, he is better able to follow the motions of his horse. He is, also, better able to provide quick yet smooth and subtle cues. If the horse is relaxed, it is better able to perceive such cues as calls to action. The relaxed horse is, also, better able to respond to those cues with swift yet smooth action on its part. A good teacher should have a broad understanding of the topic he is teaching. He should be able to express his knowledge, but he should also be able to perceive when his student does not understand what he is being told. If the student doesn't understand, the teacher should be ready to explain the same thing in a different way which make things more clear to the student. Yelling at a student who does not understand does not help that student understand any better. Instead, it creates tension which makes learning even more difficult. By explaining things in a slightly different way, a teacher may help his student understand while keeping the student relaxed enough to do what is required.